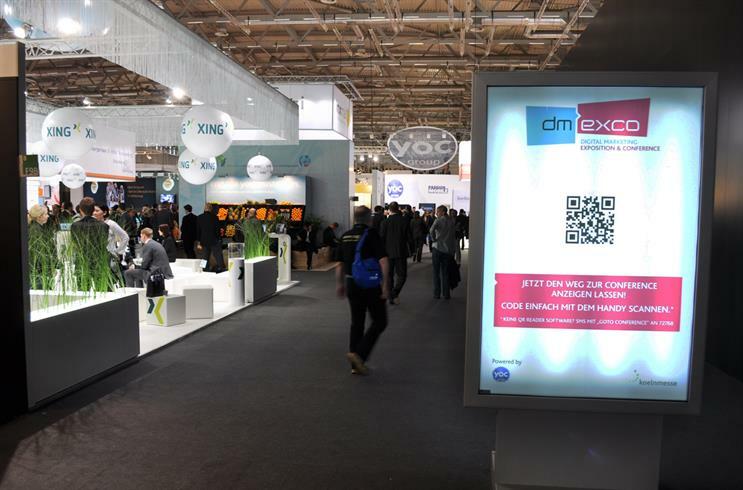 Back in 2009, the Dmexco conference first came to Cologne – and a lot has changed in the world of digital marketing and advertising since then. Users spend more of their time on the Internet, on a greater variety of devices than ever before. And with the increasing availability of high-speed fixed-line and mobile broadband, the way consumers socialise, interact, and consume media online has changed massively over the last half decade. "Advertising has to happen where the user is. And that changes all the time," says Sebastian Breidert, Head of Digital Marketing at online payment-processing company PPRO. "At the same time technology develops and becomes more and more automated, and this has led to more competition in the digital space. 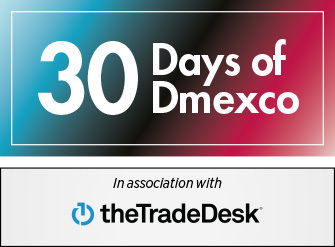 The quality of digital advertising and digital content has a much more important role than it had when Dmexco was first launched in 2009." One massive change since 2009 has been brought about by the impact of Google’s algorithm updates, Penguin and Hummingbird, on search optimisation and search marketing. The quick and dirty ways that some SEOs once used to game search not only don’t help any more, they actively hurt a site’s chance of ranking well in search results. Google Penguin, released on August 30 2013, heavily penalised sites that had been set up with search engines rather than users in mind. SEO agencies that had been relying on techniques such as the farming of backlinks or keyword-stuffing were suddenly faced with a lot of bewildered and angry clients whose sites had dropped down search rankings overnight. Matt Cutts, head of Google’s web-spam team, became an internet star. The SEO and SEM industries not only hung on his every word but also argued bitterly about the correct interpretation of those words, in a way usually reserved for the utterances of major religious figures. It all got a bit intense. Mobile has exploded since 2009. According to Comscore, in 2009 there were around 600 million mobile-Internet users worldwide. Now there almost two billion: more than the number of desktop users. In some markets, mobile is the main way of accessing the internet and a growing portion of online retail is conducted on mobile devices. If that wasn’t enough to focus the industry’s attention on mobile, the effect on conversion rates was. A survey by Google found that 50% of users would abandon a website that didn’t display well on mobile, regardless of the site’s content. Emails not optimised for mobile are abandoned at an eye-popping rate of 80%. These are the kinds of numbers that have a direct impact on the bottom line (and marketers’ bonuses). The industry’s response was, appropriately, responsive design – assets built to scale gracefully to any size of screen. Though not without problems, responsive design has made it possible for brands to connect with users across platforms. It’s also kept a lot of devs and digital agencies very busy, which is good. The rise of mobile was also largely responsible for the explosion in popularity of social media. With a handy and portable second screen within easy reach, people discovered an unexpected joy in tweeting, sharing, blogging, and vlogging every aspect of their lives. In the early days of social marketing, brands and agencies spent a lot of time talking at consumers, telling them what the brand wanted them to know, think, or feel about it and – worse still – bombarding them with promotions. It took a while for advertisers to catch on to the fact that social media users just want to have fun. And the best way to connect with them is to give them a good time – ideally, one they’d want to share with their friends. When brands did get it, however, they got it with a vengeance. Witness Three’s ridiculously infectious #SingItKitty ad, which showed in cinemas and on TV but was really designed for social sharing. The ad notched up 3 million YouTube views, 2.8 million Facebook likes, and 1.8 million Twitter mentions, making it the run-away social success of 2014. That brings us rather neatly on one of the other big themes of the last half decade: video. To take just one country as an example, since 2009, the average broadband speed in the UK has gone from 4.3Mbps to 28.9Mbps. For the first time, users could stream online video, without lots of gaps, pauses, and buffering. And stream they duly did, in quantity. According to Cisco, by 2015 video accounted for 70% of all Internet traffic. By 2020 that figure will be 82%. From product walk-throughs, to YouTube gaming channels, consumers love video. Mark Dye, MD of the agency White Label Media, has seen video prove its worth in campaign after campaign. "Today, smart digital marketers know that the inclusion of video on landing pages can increase conversion rates by up to 80%. Perhaps that's why Forrester Analyst, James McQuivey suggested that if a picture was said to be worth a thousand words, then video could be worth up to 1.8m. Throw in the power of some 1.7bn active Facebook users in 2016 and you have the perfect platform for brands that want to create memorable stories and experiences to be shared." Over the last five years, the industry has got much better at tracking and attribution. The focus has shifted from flow-metrics, such as click-through or open rates, to conversion metrics. Tracked across media these allow clients to properly attribute the credit for each sale. This obsessive focus on metrics grew out of the early work of companies such as Google, which obsessively A/B tested every proposed design variant of its products before picking a winner. And as nervous as all this science might make some creatives, over the last five years it has undoubtedly helped agencies not only deliver demonstrable return-on-investment but also to sell corporate clients the idea that digital marketing has come of age.